Millions of dollars worth of crazed anti-Iran ads will hit the airwaves this week in an effort to pressure senators to oppose President Obama’s nuclear deal with Iran. One group, the American Security Initiative, has spent over $1.4 million just to influence the Democratic leader in waiting, Senator Chuck Schumer! Tell Senator Schumer: Don’t listen to the war-mongering American Security Initiative. We want peace with Iran! It’s only a matter of days before the terms of the Iran nuclear deal are finalized and presented to the American Congress for a vote. This vote can take us down the fast track toward peace, or down the tortuous path toward war. This July 4, be a patriot! Call out the nefarious activities of groups like the American Security Initiative and work to prevent the US country from getting involved in another war of aggression. 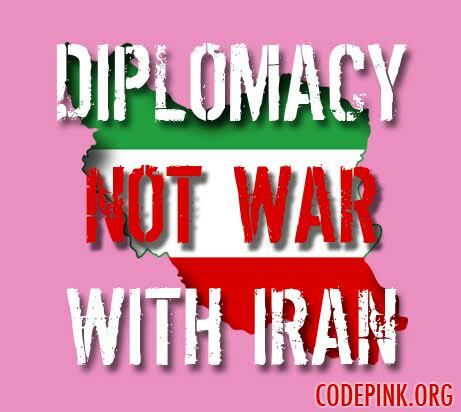 Contact Senator Schumer, and if you have another moment, call your Senator now and tell him/her you support the president’s peace talks with Iran! You can reach the Capitol Switchboard at 1-855-686-6927.